Green is the theme today. This one measures about 19cm, extendable to 20cm. 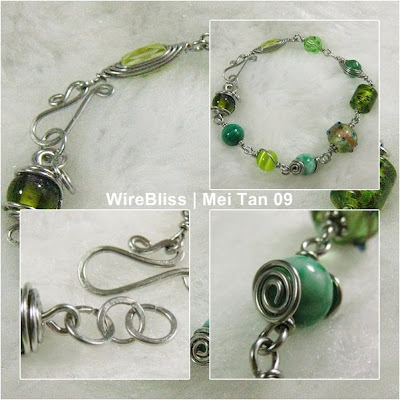 This a very pretty bracelet...I've only recently become a fan of green!